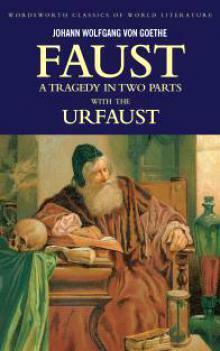 Faust is a play consisting of two extremely different parts. My rating reflects that: the first part was a lovely four-star read for me. The second part only gets a meagre two-star rating. It’s rather curious that these parts are somehow supposed to form one narration. They differ from each other like day and night. The first part is funny, entertaining, sarcastic and flexible. The second is rigid, heavy with symbolism and hidden meanings. 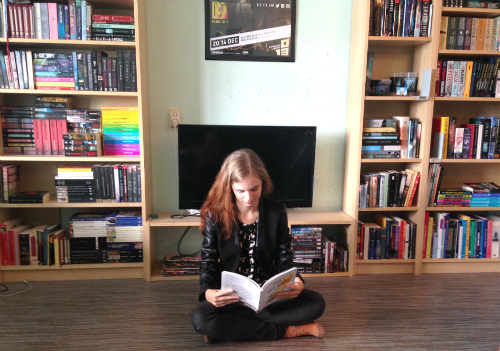 The first part was easy to read and engaging, the second part was tedious and far-fetched. Though it’s probably the second part that makes Faust the “best German book ever”, but I didn’t enjoy the second half at all. The narration barely makes sense by then, and it’s just characters stating ideological statements, in a mythological straight-jacket. It was one of the most forced pieces of fiction I have ever read. The first, however, was lovely. In that one the Devil has amazing lines that I read to my boyfriend, because they were just that cool. It’s in this part that Faust is being a weepy dude, and where he makes a pact with the Devil. They get in all kinds of antics, where the Devil seems more to be a man with a mischievous streak than pure evil. The second part was just one big ugh. Not even to mention the literal deus ex machina that happens near the end. Not cool, Wolfgang.